At a time when Formula 1 has witnessed a fall in audience numbers, and when the ground-breaking Formula E struggles to find a crowd, there is one form of motorsport that continues to grow in terms of spectator numbers and events. It is perhaps ironic then that these motorsport events focus on looking back at history, rather than forwards to the future. 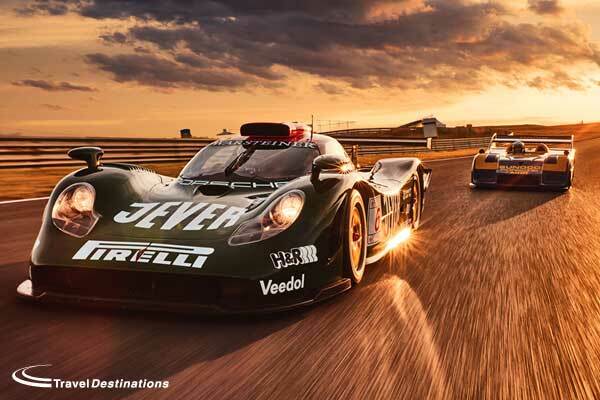 The growth in historic motorsport is not necessarily a new phenomenon, as it has been happening for many years, particularly in Europe, but now historic racing is attracting larger crowds and an international audience. 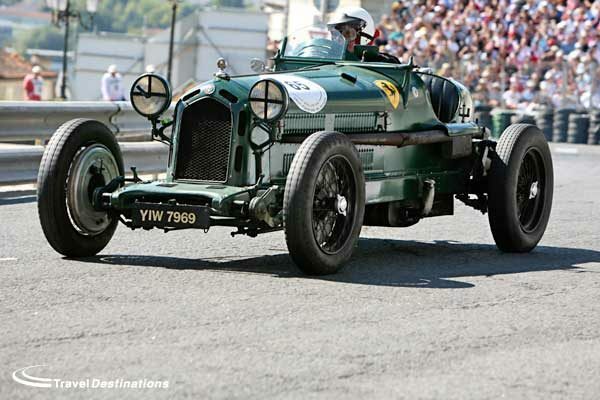 The attraction is clear; historic motor racing appeals to the many not just the few. 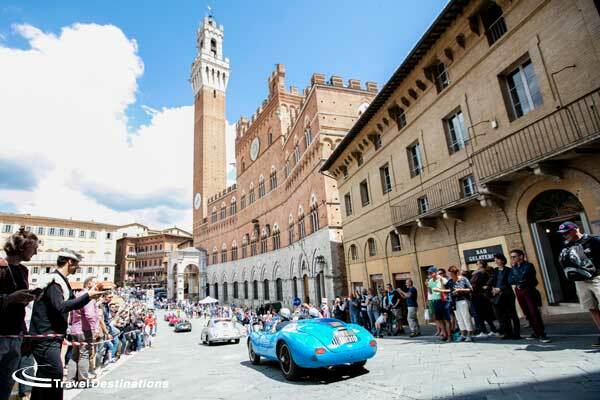 Historic motorsport events are now being held all around Europe. Some are on existing circuits, whilst others utilize less well-known arenas. Some events feature full competitive racing, others concentrate on the display and uniqueness of the location, so it can be difficult to choose which event is best for you. Below we look at a selection of our favourites to show the differences across this growing motorsport sector. Attracting crowds approaching 150,000 people, the Le Mans Classic has been a real success story for the organisers Peter Auto. Taking place every other year, the Le Mans Classic recreates the rich and varied history of Le Mans from 1923 right through to this century. To guarantee authenticity priority is given participants with cars that actually raced at Le Mans. For spectators there is much to see and do, with unique themed displays and car club areas covering large areas of the infield. Options are available for staying inside and outside the circuit, but we recommend you book early as the best options always sell out in advance. 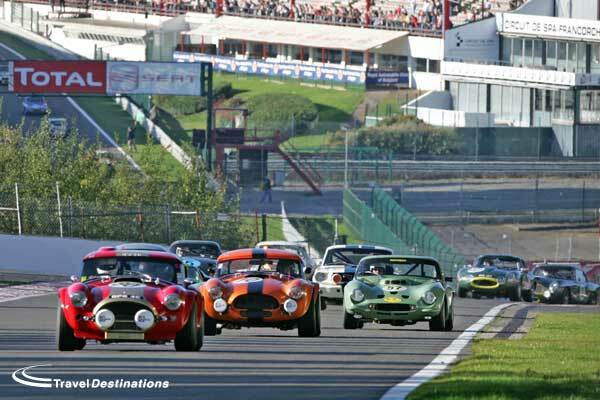 The little sister of the Le Mans Classic, the Spa Classic still attracts more than 30,000 spectators every year. The Spa-Francorchamps circuit has a rich and varied history which is reflected in the participating grids that include historic touring cars, endurance racers and single-seater Formula. In recent years the welcome addition of a Group C grid has added to the spectacular action on the track. Although spectators can’t stay on the circuit, there are plenty of options for hotels and camping in the local area, making the event very accessible. 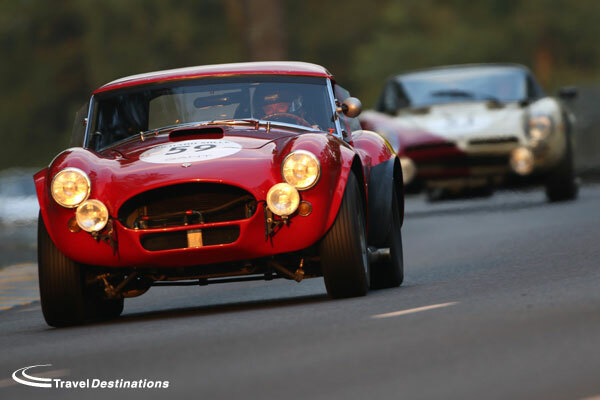 Attracting 450 of the finest vintage and classic cars in the world, along with their professional and celebrity drivers the legendary Mille Miglia recreates an open-road endurance race that originally took place from 1927 until 1957. Beginning and ending in the Italian city of Brescia, with Rome marking the half-way point, this 1000-mile event has become one of the must-see events on the historic motorsport calendar. Originally held in the French town of Rouen back in 1964, this historic weekend of motorsport then moved to Montlhery, before finding its current home in Dijon in 2014. The Dijon-Prenois circuit was previously made famous by hosting the French Grand Prix between 1974 & 1988. This Peter Auto organised event features sixties endurance racers, historic touring cars, a whole grid of 2 litre Porsches as well as single seaters such as formula 2. There are car club displays away from the action on the track ensuring there is always something interesting to view. Around 600 cars will compete across 11 different grids across the weekend using a combination of the F1 circuit and famous Nordschelefe. Cars from pre-war through to end of the 1990s will be represented on track with manufacturers and clubs creating exclusive displays on the infield. Access is good for spectators with free grandstands, paddock and garage access throughout the weekend. There is a campsite adjacent to the track and a number of hotels in the local area making visiting this event simple and fun. Nestled in the sand dunes of the Dutch coastline, this undulating circuit is perfect for hosting historic motorsport; It is challenging for the drivers and viewing opportunities are excellent for spectators. Expect to see grids of historic Formula 1, DTM, touring cars and historic world endurance championship challengers across the weekend. A relaxed paddock enables everyone to get close with cars and drivers alike. There are campsites and hotels within walking distance of the circuit making this event an easy introduction to historic motorsport. Each year the French town of Angouleme comes alive to the sounds of engines as both vintage and classic car racers descend on the tightest of street circuits. Bugattis and Porsches will line the paddocks alongside Aston Martins and Jaguars, giving a really international feel to the event. In addition to the street racing on Sunday there are competitions and events throughout the weekend as classic car owners bring their own vehicles to join in the event. Just as the leaves on the Ardennes forest begin to change, this weekend of historic racing shows off the Spa-Francorchamps circuit at its best. There are many differing grids across the weekend but the signature race is the six hours endurance race that begins in the afternoon and finishes after dark. Expect to see AC Cobras, Jaguar E-Types and Ford GT40s both on the track and in the garages and access is unrestricted for all spectators. Once again campsites and hotels are available close to the track for this event. These events, and many more, are available to book via Travel Destinations. Call us now on 01707 329988 to reserve your place.